I'm not one to wear perfume every single day. Since I work from home, when there is an occassion for me to wear it, I try to make sure that what I'm wearing isn't over powerful in the scent so that it doesn't effect the people I'm around in a bad way. 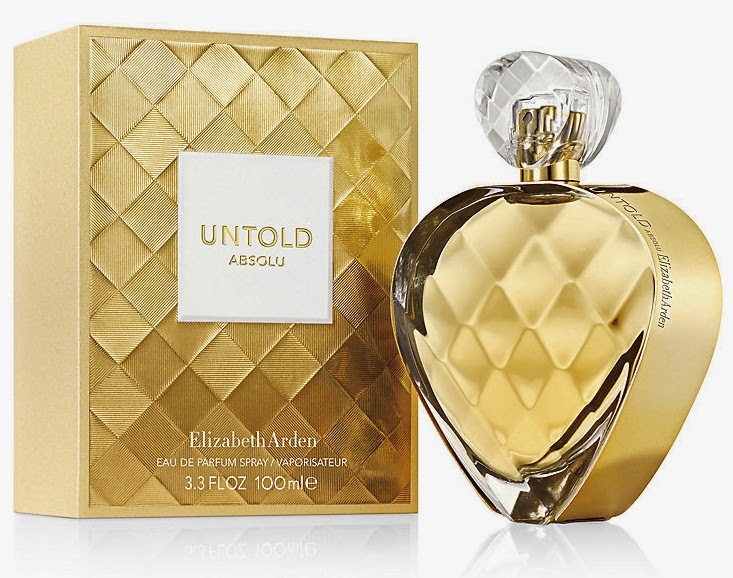 When I got the opportunity to review the latest from the UNTOLD collection, Absolu, I was pretty excited. Absolu is debuting a year after the remarkably successful launch of UNTOLD original. UNTOLD Absolu will continue the UNTOLD sensory journey, celebrating the intrigue of the modern woman in a new light.I've been looking for something that is a rich, earthy scent, beautiful and perfect for the winter season. This was the perfect fragrance that matched all three. I believe scent plays such a huge part in our memories and is so unique to each person. To me this perfume makes me think of cozy fires and snowy, romantic nights. I would never use this fragrance in the summer, personally. I tend to choose light, fruity scents for the spring/summer season. This is neither light nor too fruity, although you can smell the hint of black raspberries, Absolu rather gives that feeling of a big warm hug and makes me think of family, which is definitely a plus in my book and would be perfect to wear during the holidays when you are around lots of family and friends. I can definitely recommend this as a lovely holiday gift for those special winter moments. Beautifully packaged and a little goes a long way with this lovely full-bodied fragrance. This would be a great gift for any ladies that are looking for a great scent to wear during the winter. Disclosure: All opinions are my own. I received UNTOLD Absolu at no cost for the purpose of this review. No other compensation was received.